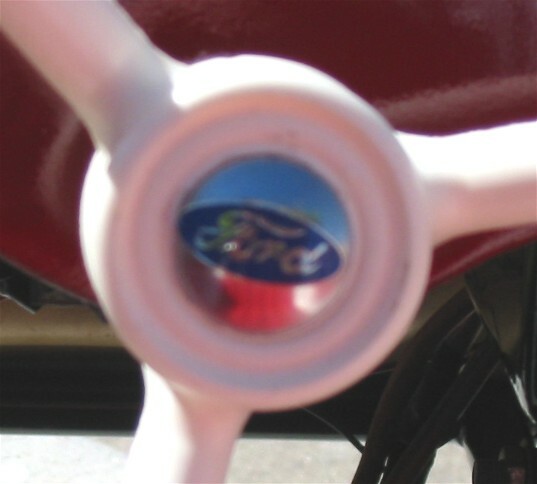 I will have to admit I do not know a lot about the company that made these little fords. 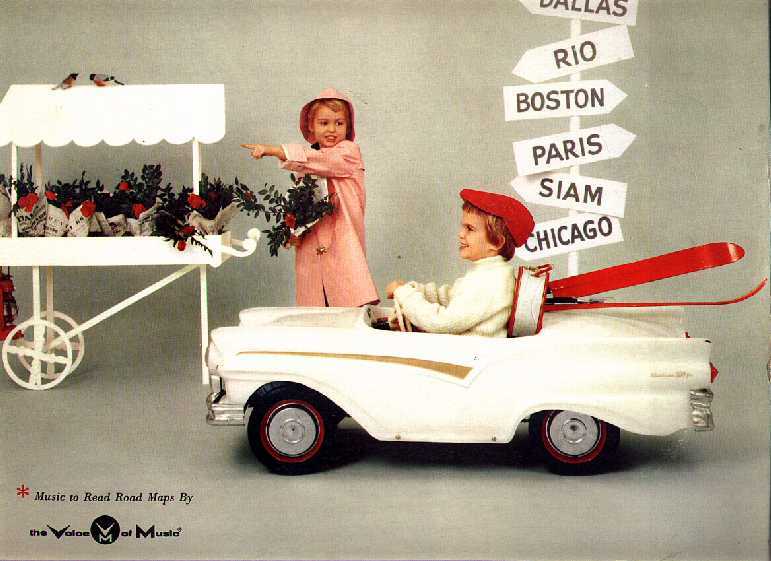 Ford had a 3-year relationship with the Junior car manufacturer Powercar of Mystic CT that made miniature Thunderbirds since 1955 and started making a Junior Mercury in 1957. why they had another manufacturer make the Sunliner we may never know? BUt they did! Donalson Manufacturing Company of 3150 Dodge road North Kansas City Kansas produced the Mini Sunliner 500 JR starting in 1957 and continued in 1958 with the new style to math the full size cars on the dealers showroom floor. 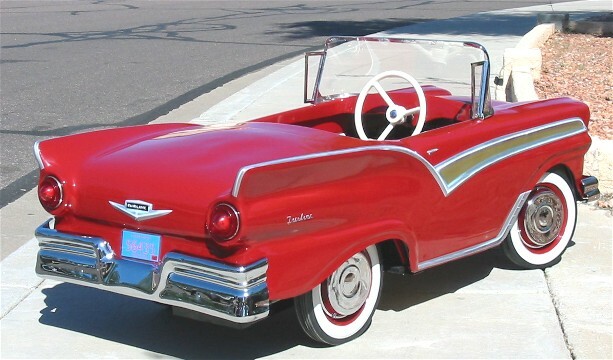 Also in 1958 they started offering an Edsel bodied junior. 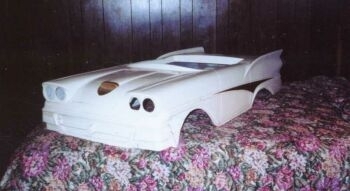 high impact Styrene plastic body with color built in not sprayed on. adjustable steel reinforced vynil covered seat to fit different size drivers. thick wall steel tube welded frame with rustproofing. Pedal powered or electrically controlled. 10" X 1.75" punture proof semi-pneumatic tires with aluminum hubcaps. 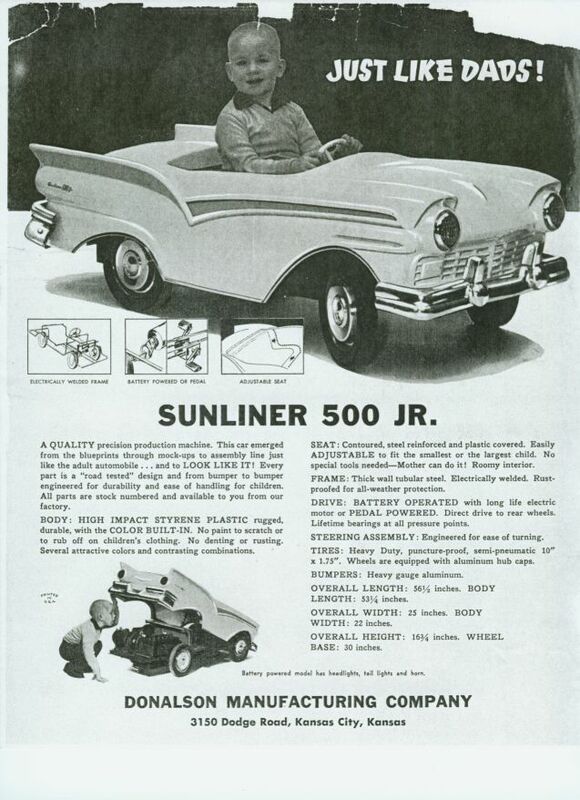 As far as I know this was the only years for the Sunliner JR models but if anyone has any additional information, pictures, vintage pictures of them being used at dealerships I would love Purchase them or get scans to share them with everyone on this site. 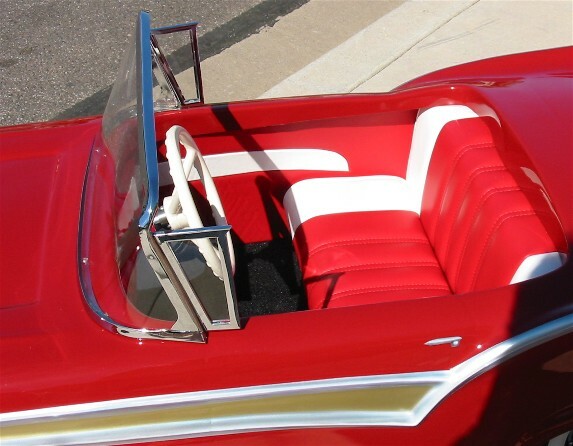 The information on the 1958 Edsel youngstar. 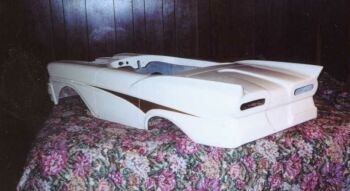 JR says it has a fiberglass body! 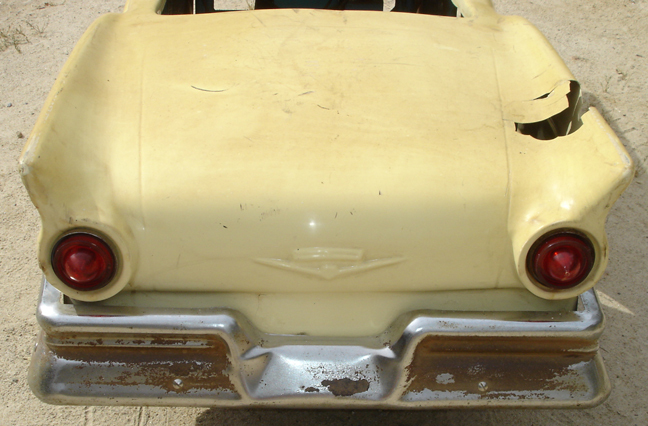 I would imagine they had the same trouble as the 1958 Desoto Firmite. JR, the bodies while doing fine in the summer when exposed to freezing temperature and vibration or impact the bodies would break into pieces. 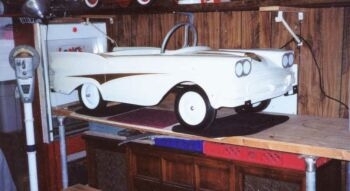 Many thanks to D&S Pedal car restorations for sending some pictures of the 57 Sunliner 500 Junior they restored. As you can see by the images it is in better than new condition with features that were never offered on the original car. 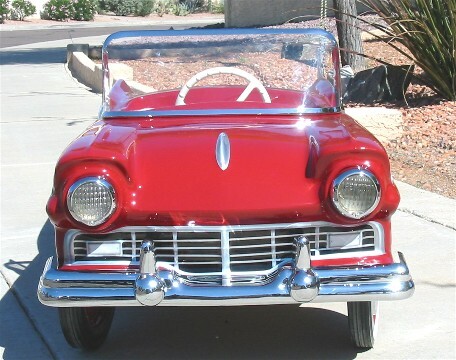 The chromed windshield frames with windwings are one of the options that D&S offers to give the cars a more realistic look of the full size car. 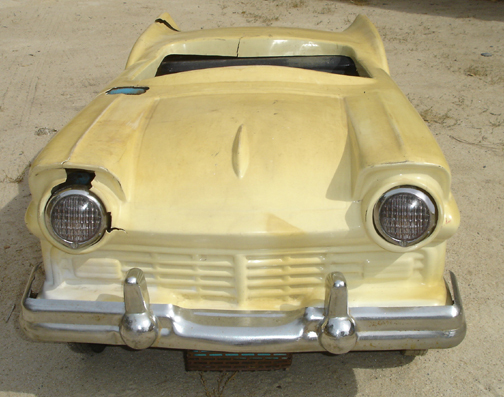 If you are looking for a professional restoration shop you may want to give them a ring.